AllJetVac combination sewer cleaners provide contractors and governments with excellent jetting action and superior vacuum power to efficiently open clogged sewer lines and perform needed maintenance. AllJetVac P Series combination sewer cleaner models use a positive displacement blower system that sets the industry standard for high performance and reliability. A pivoting hose and reel are mounted in the conventional location – at the front of the unit – where operators efficiently operate the vacuum and jetting forces to open clogged sewer lines and remove debris. Debris tank capacities range from six to 12 cubic yards while water tanks can have 1,000, 1,200 or 1,500-gallon capacities. The 8-foot, 6-inch extending boom is capable of a 180-degree rotation. 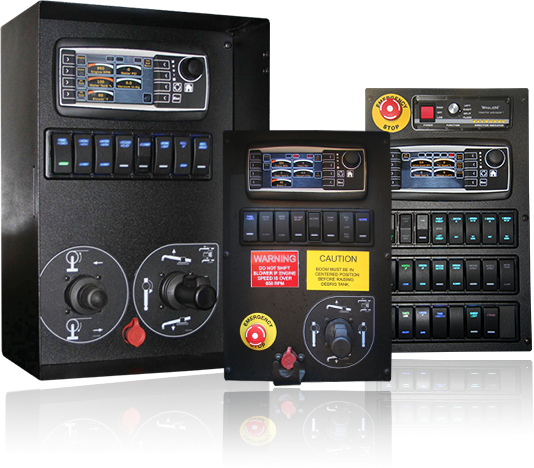 The hose and reel assembly is located at the rear on the AllJetVac R Series models, accommodating an operator preference for a quieter operation. 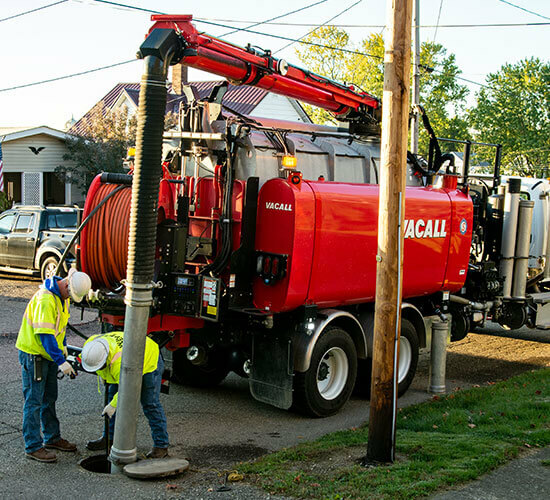 Industry-leading vacuum and jetting forces clean and maintain sewer lines using a positive displacement blower design, efficiently controlled with the standard AllSmartFlow CAN bus system. Debris tank capacities range from 6 to 12 cubic yards while water tanks can have 1,000, 1,200 or 1,500-gallon capacities. The 8-foot, 6-inch extending boom is capable of a 270-degree rotation. AllJetVac with Recycler Option lets you work all day without stopping - typically without using a drop of city water. By continuously recycling water from the sewer system, there's no need to stop work for refills. More sewers can be cleaned faster. And you are good to the environment. Equipped with an optional high dump system, these AllJetVac models allow the operator to raise the debris tank as much as 76 inches above ground level, and then shift it 21 inches to the back. Hydraulically operated, the high dump system enables an operator to dump material into dewatering or rolloff containers, helping to avoid spills or the need for dangerous ramps.